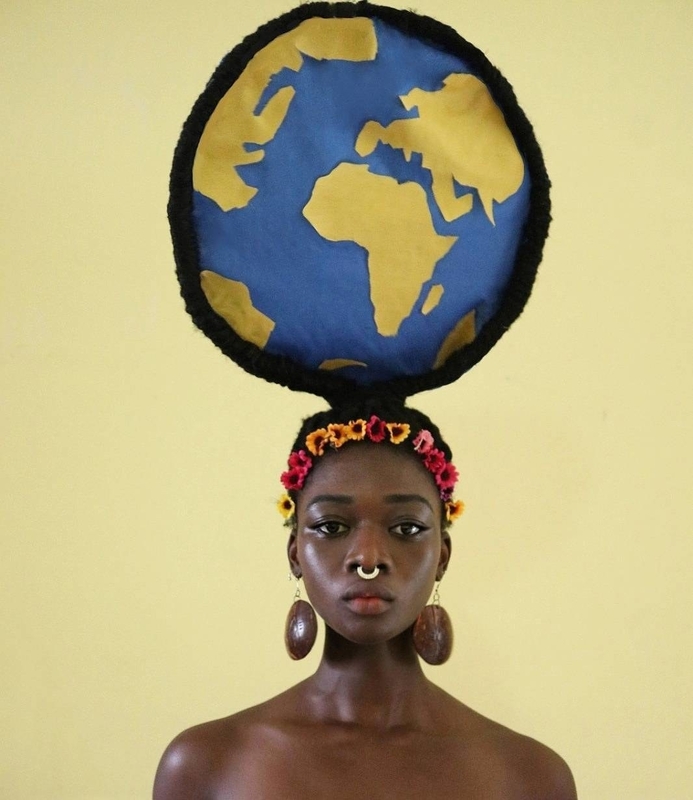 Meet Laetitia KY, a 21-year-old fashion designer from Abidjan, Cote d'Ivoire. 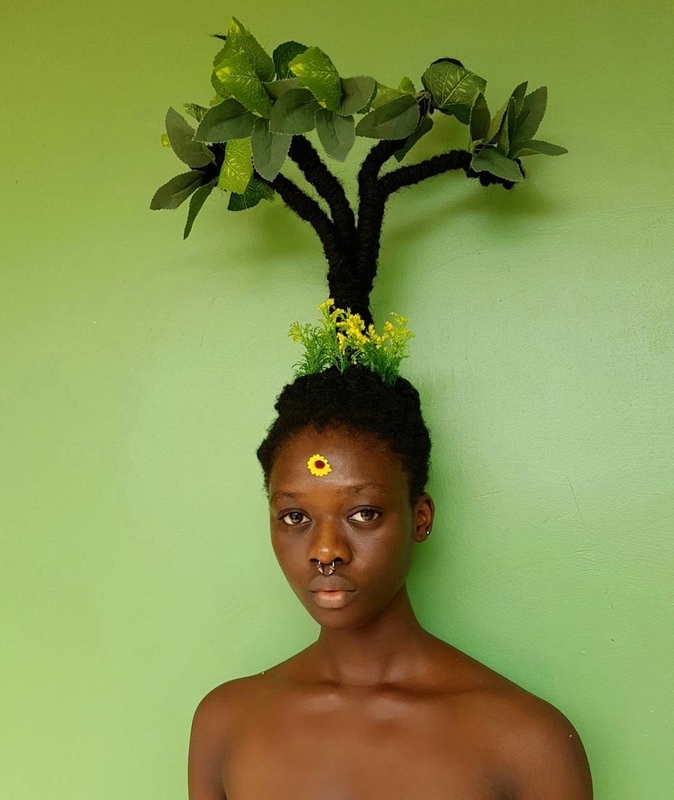 She has recently gained a lot of attention on Instagram for creating incredible sculptures out of her hair. 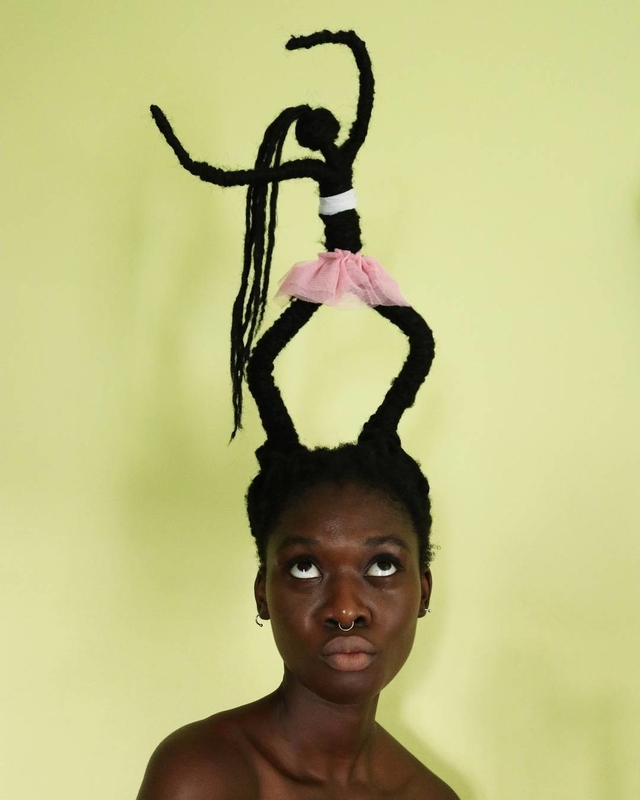 Laetitia told BuzzFeed News she has always loved hairdressing, but was inspired by the "beauty and complexity" of a photo series showing the hairstyles of African women from different tribes. "They were giant, and I wondered how you could do that with hair," she said. For her own designs, she tries not to think too much and draws inspiration from "everything and nothing at once." Most of her hairstyles can be done in a few minutes, but a series in which she styled her hair to look like hands took half a day. She used wires to help her shape the hands, she said. 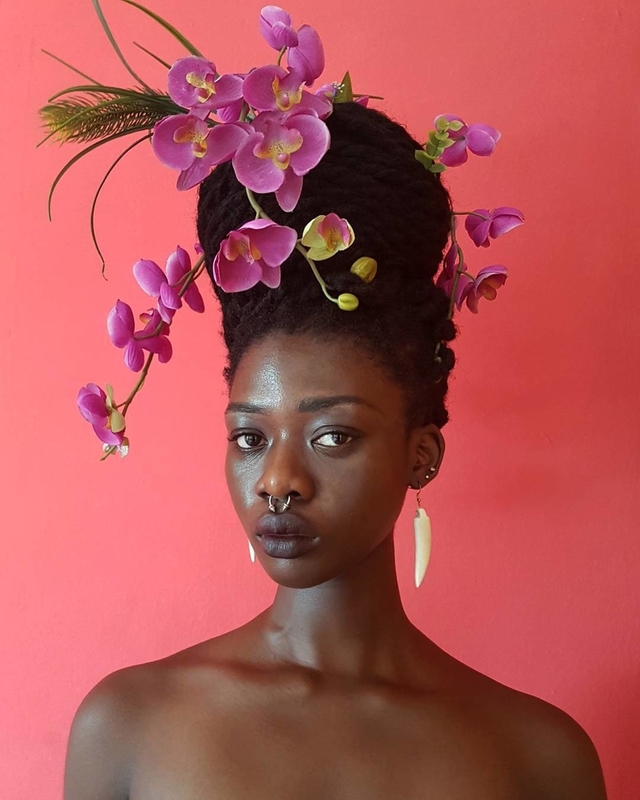 She said that the hairstyles are a way to express herself and to showcase her creativity. "I want people to see me not just as the girl who just uses her hair, but as a creative and versatile person — because I am," she said. She said she never thought her photos would go viral, but added that it was quite amazing. "I'm very happy that lots of people are sharing my art," she said. "It encourages me a lot, but at the same time, I feel a bit of pressure from the expectations for my future work. I really hope I will be up to it!"